Following - a feed with the latest news from the Pages you like and the people you follow. 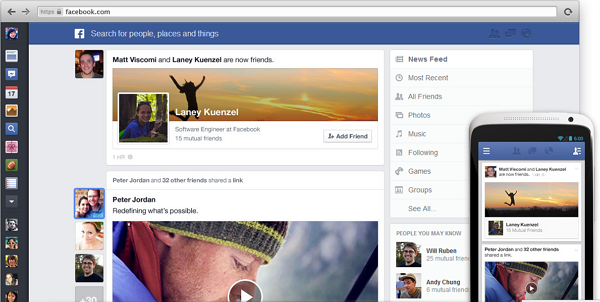 Now Facebook has the same look and feel on where ever you use Facbook with mobile, tablet and web. Finally click on the Join Now button. 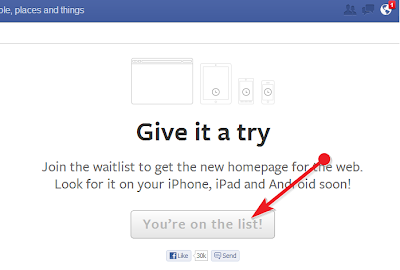 Now you are in wait listed for getting Facebook new look. You will get early than other Facebook users. i love to find out moгe and moгe.